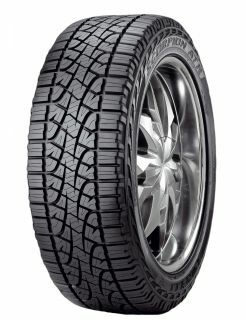 Optimised to deliver comfortable on-road driving and a reliable off-road performance, the Scorpion ATR is a versatile and safe tyre ideal for demanding drivers. Constructed with a robust carcass and a reinforced sidewall area, this tyre provides high resistance against damage and shocks. Furthermore, the Scorpion ATR delivers exceptional resistance against aquaplaning and superior levels of traction.